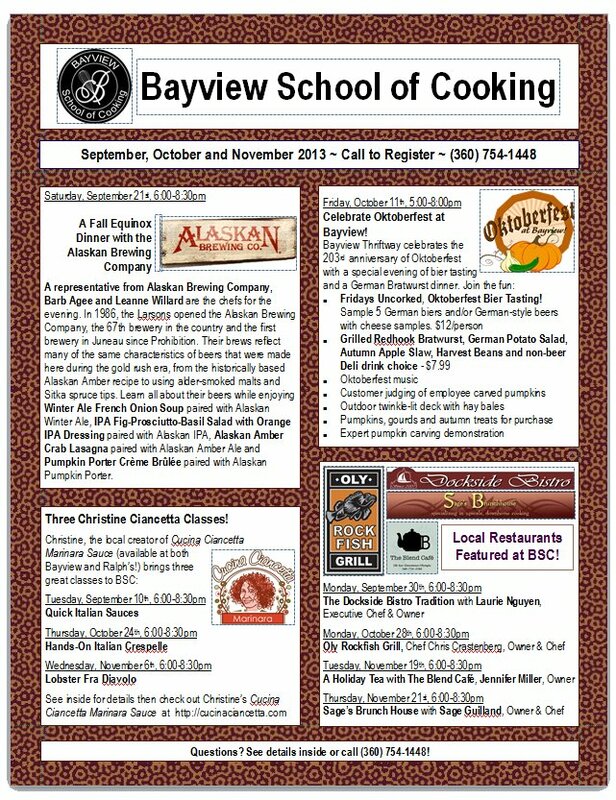 The Fall 2013 Brochure is now available for pickup at Bayview and in various locations around Olympia and Thurston County. It’s also available online for review and download at www.bayviewschoolofcooking.com! Find the classes that tickle your cooking bones and sign up now!